Many voices in the construction industry today seem mostly preoccupied with evolutions like (Open) BIM, advanced analysis types or complex new building codes. However, the daily practice of engineers still often consists of “simply” designing reinforced concrete sections to optimally withstand the applied forces. In many regions, be it for buildings or bridges, the concrete designer has the culture to input a cross-section, existing internal forces (received from structural analysis software like Scia Engineer) and reinforcement (based on experience) and then perform several ULS and SLS checks to find the optimal reinforcement. This way, the designer remains in control and gets a feel for his design. Jointly developed by Frilo and Scia after extensive consultation with our clients, the brand new Frilo Concrete Section module combines the strong points of both. 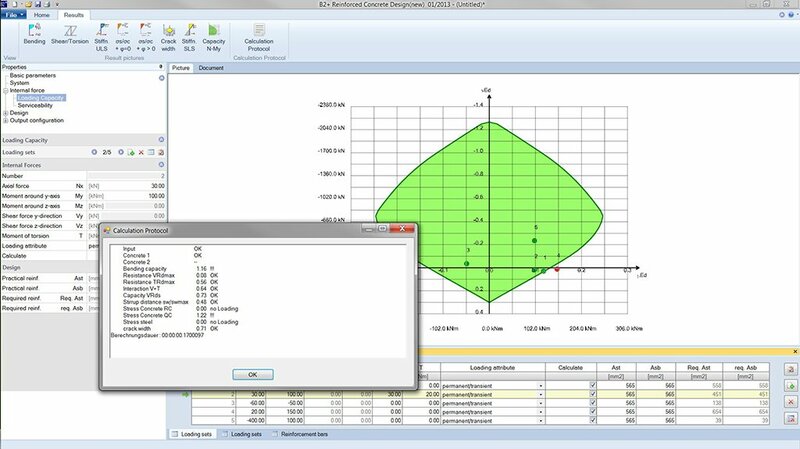 The Frilo Concrete Section tool will run as stand-alone software and will be linked to Scia Engineer, to e.g. copy-paste the internal forces straight from the structural analysis. Are you interested or just curious? Do not hesitate to contact your local sales representative for more information!